Heavy snowfall and low temperatures aren’t slowing anything down in the esports-sphere. 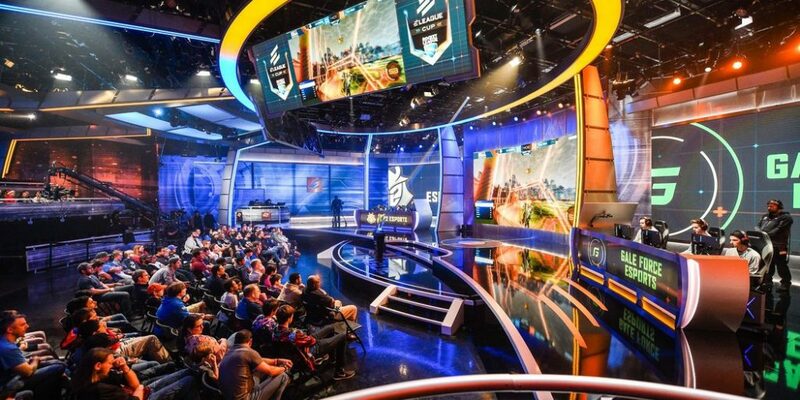 There are plenty of exciting tournaments on the calendar coming up and the two we’ve highlighted feature some of the most compelling narratives the cyber sport has to offer. This is the Midweek Snapshot. In the fast-moving world of Counter-Strike, there’s little time between one tournament and the next. Just last week, we saw a long-winded ECS Season 6 series come to fruition at the Esports Arena in Arlington, Texas. It probably comes to little surprise that the Danish powerhouse that is Astralis came out victorious and took the lion’s share of a $660,000 cash purse home with them. The newly rebranded and revitalized MIBR squad proved to be somewhat of a hitch for the Danes though, facing them across five maps through the tournament and proving there is a weak spot within what is typically considered to be an unbeatable squadron. 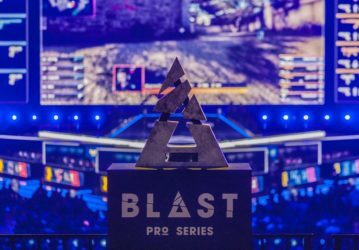 This is Astralis’ tournament, plain and simple – so much so that it almost seems wasteful to write about any of the other teams participating at the event. In all seriousness, Astralis is the largest obstacle in any competitors conquest to the winner’s podium – likely to make even the most experienced players shutter when they see their name on the bill. 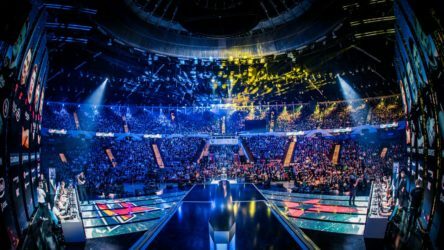 The Danes have been ranked #1 for 60 weeks and counting now and haven’t shown any signs of slowing down; the list of basis behind Astralis’ supremacy in CS:GO is almost too extensive to go into complete detail – saying they are the greatest team in the world almost seems like a disservice to the group who has accomplished what no other team has done before. The team is not unbeatable though, and have shown signs of mortality at recent events; still, betting against them would be a longshot for the most part. There are two major factors at the ESL Pro League S8 Finals that will play into the superteam’s narrative and motivation at this tournament: the location and the Intel Grand Slam. Astralis is the villain at practically every LAN event they attend just because of their dominance – but not in Odense, Denmark where they’ll be playing this weekend on their home turf. On top of that, a win at this tournament would mean winning the Intel Grand Slam, an ongoing competition to see which team can win four ESL events within a ten tournament window for a $1,000,000 bonus. Could you dream of a better script for Astralis to win? We couldn’t. It’s partially expected that teams going through key roster changes would experience a bit of turbulence getting back into form and that seems to be the case for former SK Gaming clan, MIBR. There’s high hopes for the squad comprised of five all-star players and Major winners with the firepower to match. If we had to summarize characteristics of this lineup and its composition we’d describe them as experienced, talented and deadly – however, if they can’t put it together at the event, that’s likely to go to waste. MIBR’s results have been shaky – it seems that the squad is either heating up the atmosphere in an arena or crumbling under the pressure, you just don’t know what you’re going to get. The half-American, half-Brazilian band is in a group one would presume they can survive though – on paper, you’d imagine MIBR and Na’Vi would proceed to playoffs. We can tell this team is on the up and up based of their performance last week – despite losing to Astralis in the Grand Finals of ECS Season 6, their showing was certainly respectable, forcing a few overtime scenarios. MIBR is a team bound to explode and one of these days, they are going to win a key tournament like this one – could this be their first? We’re not exactly convinced, but if you’re a risk taker, it may just be worth a shot. Two weeks back, Cloud9 did the unthinkable by taking home the Season 6 Rocket League World Championship title, toppling two-time World Champions Team Dignitas on their way to first. The three-man brigade showed composure and plenty of brilliance after dropping off into the lower-bracket early at the event; the Grand Finals against Dignitas came down to a heart-stopping series that would show a five-match winning streak from Cloud9 to take home the trophy. Was this a flash of mastery or the beginning of a new era in Rocket League? That’s a tough one to call. What we do know for certain is that Cloud9 can definitely hang with the best and if they maintain that same velocity from RLCS Worlds at the ELEAGUE Cup, they’re a shoo-in for first. While it’s easy to get caught up in the bright lights and warmth of C9’s big win, you can’t discount Dignitas at this event. The team had what can only be described as a fabled undefeated regular season that has marked them as the best team in the world. While they appeared clueless under the thumb of Cloud9 in Grand Finals just a few weeks back, it’s likely there’ll be a hint of vengeance if these two happen to meet in the bracket. All things considered, Dignitas is the better team overall, boasting more wins under their belt than anyone else. Unless they show us otherwise, we’re definitely pinning them as the favorites at this event. Which team will win StarSeries i-League Season 2? Who’s your best bet at the FACEIT Major: London?